BLEACHER REPORT: What WWE Stars Could Get Monster AEW Contract Offers? 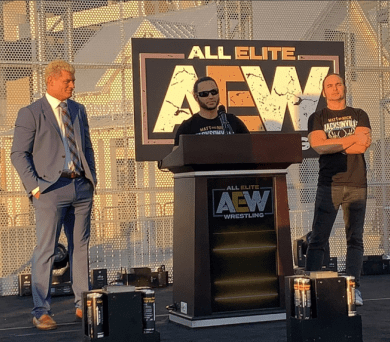 All Elite Wrestling has been ramping up its efforts to sign talents to contracts as it prepares for the company’s launch, and rumors have begun spreading that WWE Superstars have been approached with big offers. According to Fightful’s Sean Ross Sapp (h/t Joseph Zucker of Bleacher Report), Randy Orton may have been offered an appealing contract by AEW. Cody Rhodes and Orton are both sons of WWE legends and former stablemates in Legacy, so it wouldn’t be surprising to find out they have kept in touch and discussed potential business opportunities. The Viper has spent almost the entirety of his 19-year career in WWE. He is one of the most decorated champions in the history of the company and likely makes more money than most of the roster, so if he were to depart WWE, it might lead to more people following him to AEW.